Mr S H Lam (left) and Alan Kondys (centre). On the 27th February, the DHSC Construction Procurement Team met with a 10 strong delegation from the Development Bureau and Stakeholders of Hong Kong Govt led by Mr S H Lam the Permanent Secretary for Development (Works). 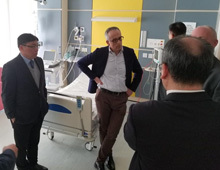 The meeting covered P22 and Modular Buildings and Design for Manufacture and Assembly in Healthcare Buildings and how this could assist in the £50bn long term healthcare building programme in Hong kong. The 3 person DHSC/P22 team included Alan Kondys (IHP Lead) and presented work done under the Framework and initiatives on standardisation and modern methods of construction in UK healthcare. 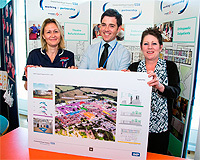 The presentation included IHP achievements at Chase Farm Hospital for Royal Free London NHS Foundation Trust. The delegation found the meeting and hospital visit very informative, impressive and inspiring; and the NEC framework contract for ProCure22 an effective procurement strategy which facilitates early contractor involvement for implementation of major infrastructure programme. (l-r) Richard Parker, Trust CEO and Keith Shivers, VCUK Regional Director. A project to build a new computed tomography (CT) scanner suite at Doncaster Royal Infirmary has begun, as representatives from IHP - VINCI joined guests from Doncaster and Bassetlaw Teaching Hospitals NHS Trust and Doncaster Cancer Detection Trust at a ceremonial ground-breaking event. The £4.9m new facility, being delivered by IHP under the ProCure21+ Framework, has been funded by the Department of Health and Social Care. Local healthcare charity Doncaster Cancer Detection Trust has also raised a further £500,000 to purchase a second CT scanner that will also be housed in the new suite. Using x-rays to create detailed images of inside patients' bodies, the new scanners will be used to guide medical tests and treatments and will be invaluable in diagnosing and monitoring conditions like cancer. The new scanner suite is located in a fully enclosed area in the middle of a building in the middle of a live hospital environment. IHP is working in closely with stakeholders to deliver this challenging project whilst ensuring no disruption to hospital activities. Watch this space for the outcome! Explaining how important the new CT facility will be to the Doncaster community, Mr Sewa Singh, Medical Director at DBTH NHS Trust, said: "In the past five years, we have seen local demand for our current CT machine increase by 70%, with almost 25,000 scans undertaken in the last financial year. Once complete, the new facility will house two CT scanners, linked by a common control room, increasing the number of scans we can undertake to 36,000 a year, removing the need for a mobile CT scanner, which is currently in use." Speaking at the ceremony, Keith Shivers, North East Regional Director said: "We're delighted to be able to get this important project underway today. My team and I are looking forward to seeing the benefits this state-of-the-art facility will bring to the people of Doncaster and surrounding region once it's complete." The project to build the new CT suite began on Friday 15 February and will take around 54 weeks to complete, with opening of the facility planned for March 2020. The benefit the new CT suite and scanner will have for patients is tremendous with an estimated 51% increased capacity for scans. This will go a long way in diagnosing cancer, as well as its use in urgent and emergency patients. VINCI Construction Building as part of IHP are delighted to have been shortlisted in the category of Property and Construction, which applauds outstanding achievements to businesses that have invested in lifesaving equipment and that complements their first aid procedures by having a defibrillator on site. To incentivise VINCI to buy Automated External Defibrillator's (AED) in bulk, our supplier offers a free AED with every 20 purchased. We then donate the free AED to a worthy cause, which is selected by asking staff to nominate a worthy cause via our Building newsletter. Last year, the free AED was donated to Castleford Sea Cadets who are active in the community and have been building strong relationships with Armed Forces Charities and Veterans groups. We also donated a defibrillator to a charity that helps children with learning difficulties. Charlotte Donald campaigned to give the defibrillator to Jubilee House – a charity that looks after her niece who has Sanfillipo disease. To date, Building Division have invested £40,000 on AED's. Having these important AED's located at all of our offices and sites gives us the ability to respond to any potential heart problem that may occur prior to Emergency services reaching site. All staff (including sub-contractors and visitors) are made aware of where the AED is located through the site induction process. We also raise awareness to the general public that we keep AED's on our sites by placing posters on site fences/hoardings on various projects, depending on locations, in case they may need to use them in any given emergency. 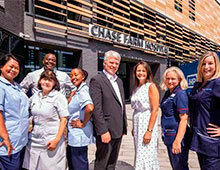 At the end of July the Royal Free London NHS Foundation Trust took ownership of the new Chase Farm Hospital from Integrated Health Projects (IHP). The new hospital will be at the forefront of pioneering new ways of working to deliver better, safer and more efficient care to patients through new and innovative technology. From self-check in kiosks to technology that will streamline patients' visits to the hospital, these new innovations will place the new hospital as the most digitally advanced in the NHS. At the formal handover Natalie Forrest, chief executive of Chase Farm Hospital, inspected the new building and thanked those who had been involved in the hospital's construction. We can't wait for our patients and staff to start using the new hospital; it will be completely different to anything they have experienced before. I want to thank the patients, local residents and our staff for their patience and cooperation during the redevelopment, the new hospital wouldn't have been possible without them. This project has been challenging for both parties, however ,I believe that we have worked well with the Trust and delivered their new hospital within a very tight progamme starting from a blank sheet of paper in January 2015. I would like to congratulate everyone involved in the project for their hard work in producing a fantastic facility for the Trust. Integrated Health Projects (IHP) is extremely proud that the new NGS Macmillan Unit at Chesterfield Royal Hospital was awarded the prestigious RIBA East Midlands Building of the Year at the recent 2018 awards ceremony. The project also won Project Architect of the Year 2018 for the Manser Practice and the Trust secured the East Midlands Client of the Year 2018 award. The external elevations of the building are constructed of white Corian Cladding which the judges commented 'Creates a building of great elegance and reinforces the sense of quality. The contrast of the white Corian panels with the carefully selected planting scheme is a truly uplifting place to be, for patients, visitors and staff alike. The project team have steered this building at every turn through a process of careful reflection to ensure the best possible outcomes for patient experience and well-being'. Our team are immensely proud that their hard work and dedication in constructing this very difficult building has been rewarded by this prestigious award and we are equally proud that our efforts for the Client, and particularly for the patients and users of the building have been recognised. We are delighted to be associated with a facility which creates a welcoming environment for the patient journey during the treatment cycle. In support of the M6 J2-4 Projects' chosen charity, The Midlands Air Ambulance, two members of the team offered themselves up as willing victims to take part in a charity abseil event off the rooftop of the Hampton by Hilton Hotel in Birmingham – just a mere 240-foot descent! The Midlands Air Ambulance Charity funds three helicopters serving West Midlands, Shropshire, Staffordshire, Gloucestershire, Worcestershire, Herefordshire and Welsh borders. Funded entirely by the public, it receives no Government or Lottery funding and £9 million is needed each year to keep it operational, therefore fundraising is vital. Mike Ward (BBV Commercial Manager) and Becky Thomas (BBV Accounts Clerk) had their names drawn out of an envelope after there were several volunteers keen to take up the challenge. Both Mike and Becky commented on how much they enjoyed the experience, in fact Becky enjoyed it so much that she went back up to the top to complete a 2nd descent. 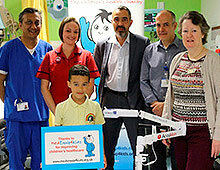 Integrated Health Projects (IHP) have helped raise money for MedEquip4Kids to provide Wythenshawe Hospital with a new monitor for their children's ward, Starlight. Over the years we have helped support MedEquip4Kids with various fund raisers and events such as the Annual Shimmer Ball and Golf Days. The support for Wythenshawe hospital came after the attack on Manchester last year that helped care for so many children involved, as we have just seen the one year anniversary of the bombing, MedEquip4Kids launched a Manchester appeal to help the hospital that was so heavily involved. On the 22 May Adrian Drinkwater, VINCI North West Business Development Manager, and MedEquip4Kid's, Ghazala Baig, visited the Starlight ward to present the new monitoring equipment which the ward was massively grateful for. We were all so shocked by the devastating attack in the heart of our city and we just wanted to do something to help. We're very grateful to everyone who contributed to the appeal and in particular to VINCI for all their hard work raising money for this equipment, which will support the hospital to deliver excellent care to their young patients. Pirates of Chase Farm Hospital nursery, treasure their new playground addition and get to pretend to walk the plank in playtime thanks to the generosity of Galldris Construction under IHP. The contractors have been working at IHP Chase Farm Hospital and wanted to make a £500 donation to the on-site nursery. This enabled the nursery to buy a pirate galleon for the children to play on outdoors. Nursery manager, Laura Hanna, said: "With all that money, or should I say 'pieces of eight', we decided we should get something very special that we would never be able to afford ourselves. It was a real team effort as well because the galleon came as a flat-pack and the handymen operatives of IHP, who were also working on the new IHP Chase Farm Hospital site, came in and gave it lots of coats of weatherproof paint. "The children absolutely love it. It's right in the middle of our playground and it's a huge attraction for them. We've christened it 'The Good Ship Galldris'. Laura said she wanted to thank the contractors of Rossbro Decorating for also taking the opportunity to give the internal doors of the nursery a new paint job as well. "We look very ship shape." A huge thank you to all of our contractors for going the extra mile for us. Our new hospital is due to open in the autumn and we would like to pay tribute to the hard-working teams who have found the time in their hectic daily schedules to help some of the youngest members of our hospital community. Steve Williams, Senior Construction Manager for IHP said "He echoed Natalie Forrest's thoughts, whereas the IHP Team had definitely gone the extra mile especially with the high efforts being made to complete the new Hospital Building and that time was found to help such a special cause to IHP. It's an absolute pleasure to give something back to the Nurses and NHS Staff's Children to whom are looked after by the caring nursery staff, whilst their Mums and Dad's care, and look after us under the difficult times we sometimes face in life". The next phase of the Chesterfield Royal Hospital's Emergency Department (ED) expansion project is now complete and opened to patients on Monday 15th January. IHP carried out works which included the provision of three new consulting rooms and a reception area to provide a place where patients are initially streamed to either primary care or ED. Previously, this service had to operate out of cubicles within the main ED and children's play area but this new development provides a dedicated space where patients can receive treatment. 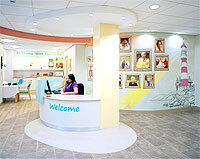 The new waiting area and treatment environment is a vast improvement for staff and patients alike. The improved facilities will result in a better experience for people assessed as not needing immediate emergency treatment and therefore a more appropriate use of precious ED resource. The streaming service has been based at the Royal since 2013 and has been providing extended hours seven-day streaming service since July 2017, making it one of the first to introduce additional hours services ahead of the national target of October 2017. This project is part of a larger project due to be completed in June 2018, which will see the existing ED expanded by approximately fifty per cent. In the interim period the streaming area, although fully operational, needs to be closed off at one end whilst work is carried out on the front 'blue-light' ED entrance. Completion of this will mark the end of the redevelopment and result in patient access to the streaming area being opened up at both ends. On 24 July 2017 clinical staff at Darlington Memorial Hospital utilised their five brand new Operating Theatres to treat patients for the first time. This followed the successful construction, commissioning and validation of the facility seven days earlier. Staff at the hospital spent the period after moving in familiarising themselves with their new surroundings in readiness for using them. IHP and Constructor VINCI have been delivering these theatres as Phase 1 of the Darlington STEM project which involves the construction of new operating theatres and mortuary followed by the refurbishment of the existing theatres and a hospital ward. Work now progresses to commence the refurbishment of exiting theatres that have been vacated by putting the new theatres into use. From left to right Mahu Reddy (Lead Consultant, Emergency Dept), Gemma Watkins (Senior Sister, Emergency Dept), Vincent Boodeea (VINCI Construction UK) and Chris Cooper (Associate Medical Director for Children and Families). IHP and VINCI Construction UK's Building North West region raised nearly £9k for MedEquip4Kids at their charity Golf Day on Friday 2 June 2017. Following the attack on Manchester Arena on 22 May 2017, MedEquip4Kids launched a special appeal to raise £100k to make sure hospitals in Greater Manchester are fully equipped to provide emergency treatment, rehabilitation and long-term care to children and young people in the event of such incidents. MedEquip4Kids will donate the funds to Manchester Hospitals who helped with the injured after the Manchester terror attack. 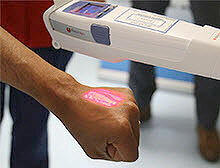 VINCI Construction UK also supplied the A&E department at Stepping Hill Hospital with an AccuVein AV400 vein illumination device, which allows clinicians carrying out venepuncture to see children's veins that are invisible to the naked eye. AccuVein AV400 vein illumination device. We have been overwhelmed by the kindness and support from the public following the horrific Manchester Arena attack. We were simply doing our job, but are all very proud of the NHS response across Greater Manchester. The love and generosity that we have seen outweighs the evil and has united everyone even more. We are very grateful to MedEquip4Kids /VINCI Construction UK for their ongoing support. The AccuVein kit would reduce the stress caused to children in an already traumatic time, as it increases the speeds we can deliver time critical treatment and reduces the need to use intraosseous infusions, which is the process of injecting directly into the marrow of a bone. Integrated Health Projects (IHP) at Chase Farm Hospital site took part in a very successful Construct with Us event on Wednesday 29 March 2017 with Enfield Council at The Nightingale Academy, which was attended by the Mayor of Enfield. Working with our preferred plant suppliers, the event aimed to reach out to future talent and change perceptions of our industry, encouraging the younger generation to consider construction as a future career option. IHP also had a career stall providing guidance to those who may be seeking opportunities within the construction industry including any available apprenticeship schemes. The day was a huge success, and as a result a number of schools in the catchment area will be involved in the next Construct with Us event, which is taking place on 29 May 2017 at Wilbury Primary School. The last module units were installed at Medway's Emergency Department on Sunday 2 April after being successfully threaded through the live estate/operating hospital. The first phase of the Emergency Department extension will go live in August 2017. Claire Lowe, Director of Estates & Facilities, Medway NHS Foundation Trust said: "Fantastic team effort so well done to all concerned"
The three phase project is being carried out in the heart of a fully operational hospital. To take delivery of the 69 modular units, IHP had to divert emergency ambulances. Close collaboration with the Trust and ambulance service was key to devising a safe plan. 25 Traffic marshals and banksmen were positioned around the site to control traffic, making the delivery a success. During the 11 days of lifting the team were able to ensure that ambulance operations were unaffected by works and the ambulance service thanked IHP for an excellent operation within the live hospital. Monday 27 February marked "Build–A–Wall Day". IHP with Astin's, who are carrying out the Dry Lining works at our Chase Farm Hospital project, invited the Carpentry Level 2 students of Haringey / Enfield College to their Academy for an Introduction into Dry lining techniques. 12 students attended the day course which enabled them to visualise how walls can be constructed in metal and plasterboard, rather than the traditional method of wood and plasterboard. One student replied to a question asked "its still using the same hand / eye techniques that we use at college in carpentry, just adapting to a different product with a better sustainability". Our thanks to Astins and their team with special thanks to Paul Hayter the Course Tutor for expert tuition given. A specially engraved spade was presented to Medway Maritime Hospital from Integrated Health Projects (IHP). From left: Kelly Tolhurst (MP for Rochester and Strood), Diana Hamilton-Failey, Andrew Miles (Integrated Health Projects and VINCI Construction UK), Claire Lowe, Claire Hughes and Josephine Steely. The emergency department at Medway Maritime Hospital has been undergoing a major development programme with the introduction of a new Children’s department, Minors area and Majors waiting area. The redevelopment comes at a crucial time as the department continues to face challenges in terms of capacity and operational issues. Is regularly seeing more than 110 ambulances per day. Between 11 am and 8 pm, it is seeing over ten ambulances per hour. The new build of the Majors department will resolve the issues of overcrowding because we are doubling our capacity. Instead of working with 12 Major cubicles we will be working with 24. We currently have a resuscitation area of five bays and that will go up to seven. It is hoped the new Majors area – which will be built next to the current ambulance bay for people with serious injuries and life-threatening conditions - will improve life for staff and patients. When the new Majors building is finished in late 2017, there will 24 Majors bays, seven bays in resuscitation, and 10 bays in the Clinical Decisions Unit (CDU). Rochester and Strood MP Kelly Tolhurst welcomed the expansion of the emergency department: “Medway has been on a progressive path of improvement over the last 2 years and the changes that have already been made are from my point of view a success. Chase Farm Hospital was visited by sixteen students from The College of Haringey, Enfield and North East London last week. The students, who are Level 1 in Carpentry & Joinery, were provided with presentations on Dry-lining and Formwork, which are currently being carried out on site. Construction related processes and various aspects where their skills could be utilised were highlighted, giving the students a practical look into site activities not found in their college environment or curriculums. We just wanted to say thanks for today to all those involved. The students really enjoyed the visit and we are looking forward to attending again. We are in the process of printing the pictures and displaying the visit in our department. Thank you to Sam Lewis and Steve Williams, Senior Site Managers, and Mitchel Bagley, Graduate, who took time to help contribute to the students’ future careers. 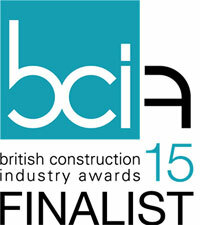 We hope some of them will look at VINCI Construction UK as an employer of choice. Chase Farm Hospital Redevelopment is a design and build of a new 5-storey Hospital, Energy Centre and Multi storey car park under the P21+ Framework working in partnership with the Royal Free London NHS Foundation Trust on a live hospital campus. Building Better Healthcare Awards took place earlier this month with The Curve, delivered by Integrated Health Projects and Gilling Dod Architects, winning two prestigious awards on the night. The Curve is a recovery, health and wellbeing academy which creates a much improved first impression for the Prestwich Hospital site. The facility provides a range of free educational courses and resources for people with mental health and substance misuse problems, their families, and carers as well as healthcare professionals. Designed around a central hub, the building also hosts the trust's development activities, and education and training functions. Facilities include 100-person lecture theatre, four seminar rooms, three breakout rooms, a library and support areas. Each of these has a number of possible room configurations to give design resilience for the future. Choosing it as its winner for Clinician's Choice, Dr Roy MacGregor, said: "This is an impressive first-class mental health facility providing an extremely-valuable resource for patients and hospital staff. It is also a welcoming and outstanding first impression for the hospital and it is good to see staff educational facilities mixed with patient facilities on the same well-designed site." Winning the Patient's Choice, it was also singled out for praise by head judge, Patricia Wilkie for the interior design, which is helping to create a less-institutional feel for mental health services. Describing it as "first-class", she praised the "vibrant and stimulating" central hub within the recovery academy. "The Curve provides the perfect environment to promote recovery, health and wellbeing and acts as a flagship for the Greater Manchester West Mental Health NHS Foundation Trust. It reflects the recovery principles in all aspects of its culture and operation and the physical environment and language portrays messages of hope, empowerment, possibility and aspirations." Integrated Health Projects (IHP) and our VINCI North West Building team, were praised by judges at this year's Healthcare Estates Event by winning the 2016 Patient Experience Award. 'The Curve' at Prestwich Hospital provides a ground-breaking community facing mental health resource hub, specifically designed to support vulnerable people living in the community. Housing a library, café, lecture halls, educational spaces, forum areas, meeting and therapy rooms, the facility provides public facilities for the client. It also provides new Headquarters facilities. 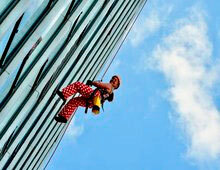 The awards event was held earlier this month in a packed city centre hotel in Manchester. NHS doctor, campaigner, broadcaster and comedian Phil Hammond presented the coveted award. Recognition was given to the quality of award entries this year, with judging proving to be a difficult process. Integrated Health Projects (IHP), the joint venture between VINCI Construction UK and Sir Robert McAlpine, has been appointed onto the new £4bn/4 year ProCure22 National Framework. This represents a significant success for IHP in this important area of our business. ProCure22 is available to a broader range of clients involved in healthcare and enables PSCP/client partnerships to drive increased efficiency and productivity to deliver solutions that make best use of the client's estate. The ProCure22 Framework will replace ProCure21+, which is to end in September 2016, and will be available to a broad base of clients in health & social care (including third sector). This is the third consecutive National Framework for IHP over 13 years, and brings together five other Principal Supply Chain Partners (PSCPs) comprising: Kier, Interserve, Galliford Try, Graham and BAM Construction. The Cost Reduction Programme will continue under ProCure22 with ongoing promotion and further development of Repeatable Rooms and Standard Components. The New Orthopaedic Centre at Wrightington Hospital delivered by Integrated Health Projects (IHP), the VINCI/SRM JV, wins the ‘Value and Improvement in Estate Management’ award at the HSJ Value in Healthcare Awards in Manchester in May. 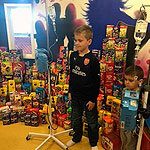 Integrated Health Projects (IHP) participated in an Easter Egg collection for the Children's Ward at Watford General Hospital and the Rennie Grove Hospice in St Albans. The generosity of everyone has been overwhelming and just over 100 Easter eggs have been collected, so a huge thank you to all those who donated Easter Eggs. We had the fun task of fitting the boxes into a smart car, there were most certainly be some very happy children so thank you again. Enfield Council has granted planning consent for the construction of the £150million redevelopment of Chase Farm Hospital in Enfield, North London. Enabling works are underway forming part of a £139million contract awarded to Integrated Health Projects (IHP). The redevelopment will provide the Royal Free London NHS foundation Trust with a new build five-storey acute hospital including an urgent care centre, inpatients, eight theatres, day surgery, outpatient ambulatory care zone, imaging, diagnostics and supporting facilities. The design has been developed in consultation with all departments and clinicians, allowing the design team to lead the way with innovative healthcare design comprising a number of flexible options to allow for service change in the future. A memorial to honour the gift of organ donation is complete at the Countess of Chester Hospital following a government recommendation for all NHS Acute Trusts to consider an appropriate public recognition of organ donors and their families. 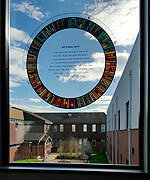 Thanks to Integrated Health Projects, a plain glazed window unit has been replaced on the first floor next to the entrance to the Intensive Care Unit with a stained glass window featuring a circle of light. Integrated Health Projects (IHP), the VINCI/SRM JV, picked up 3 prestigious awards for projects delivered by IHP under the ProCure 21+ Framework. The event saw 620 guests attending the 17th annual Building Better Healthcare Awards recognising the products, environments, services and people who keep the health service operating effectively and efficiently. Integrated Health Projects (IHP), the VINCI/Sir Robert McAlpine JV are proud to be delivering the P21+ Scheme at Chesterfield Royal Hospital. As part of this partnership with the Trust, IHP recently took part in an annual event which provides an opportunity for all teams, departments and individuals to showcase the work they have undertaken over the last year. This was the ideal opportunity to talk about how we have engaged effectively with the Trust at all levels. At the same time we have improved as a team through continuous learning, offering varied techniques to help manage expectations and minimise disruption through our logistic planning and coordination. The team have delivered to a consistently high standard. IHP (the joint venture between VINCI Construction UK and Sir Robert McAlpine) along with the other five ProCure21+ Principal Supply Chain Partners, have picked up two prestigious national awards for the P21+ Repeatable Room initiative. An amazing story of what collaboration can deliver in arguably the most challenging environment – Healthcare. They have managed to put competition aside to deliver real value for patients, staff, and the economy – improving safety and delivering commercial value. An evidence based approach has been taken at each step of the process – and involving all users (patients, staff – clinical and non-clinical, architects, engineers and contractors) to create wards that themselves deliver care. Creating the environment that will deliver long term benefits and support each of us when we are at our most vulnerable. This excellent work is in the open domain to allow benefits to be realised outside the direct scope of the contract and future healthcare projects will to continue to refine this approach, delivering even better healthcare buildings. This collaborative approach sets a new benchmark of what we can achieve together. Following the success of the P21+ Framework winning this award I would like to pass on my thanks on behalf of the Department of Health to yourselves and all others in your Supply Chain involved in achieving this recognition for what we have all achieved. 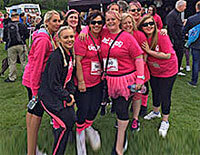 A team of VINCI Angels from the Rainham office recently took part in a 5K Race for Life held in Weald Country Park, Brentwood, Essex. Cancer Research UK's Race for Life is the largest women-only fundraising event in the UK. Tayla Kinnear, Mandy Oakley, Karen Doyle, Charlotte Ely and Laura Eaketts, plus friends and family, have so far collected almost £1000 and are able to receive further donations through www.justgiving.com/teams/vinci-angels. The impact of good design on mental health patients was highlighted with the announcement of the winners of the 2015 Design in Mental Health Awards. The Lighthouse was the joint winner of the Service User Experience Award. 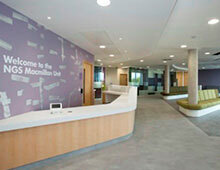 This Scheme was delivered by VINCI as part of Integrated Health Projects with Gilling Dod Architects. 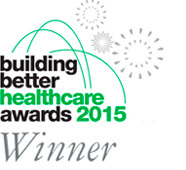 IHP was also part of the other winner – ProCure 21+ for its Repeatable Mental Health Bedrooms. Alan Kondys and Mike Laide have worked on this initiative that had an accelerated but thorough planning and design stage that has brought together stakeholders and experts from across the NHS and the supply chain. The repeatable rooms extra value to healthcare construction schemes delivered through the framework and are available for sharing throughout the NHS. IHP (the joint venture between VINCI Construction UK and Sir Robert McAlpine) along with the other five ProCure21+ Principal Supply Chain Partners, have been announced as 2015 Constructing Excellence Finalists for the P21+ Cost Reduction Programme. The Cost Reduction Programme is delivering repeatable rooms and standardised components to achieve and even exceed the 14% savings required by the Government Construction Strategy. This enables ProCure21+ to deliver high-quality healthcare environments and release NHS funds for front line services. The series of repeatable rooms and standardised components add extra value to healthcare construction schemes delivered through the framework and are available for sharing throughout the NHS. This achievement has been recognised by Doctor Dan Poulter, MP - Parliamentary Under-Secretary of State for Health who said: "I would like to see these good designs in use at local level, saving every Trust money that can be put into frontline patient care." IHP along with the other five ProCure21+ Principal Supply Chain Partners, have been announced as 2015 BCI awards Finalists for the P21+ Cost Reduction Programme. Our IHP has been working for NHS Business Services Authority for over 10 years and recently completed Skipton House entailing the total strip-out and refurbishment. Thanks again for taking care of the extras and for the sterling job you, Jason and IHP did on the whole project the finished article is top quality. Staff are ecstatic and we are getting positive feedback from their senior management and the staff themselves. VINCI CONSTRUCTION UK LIMITED (as part of Integrated Health Projects) has raised a staggering £120,000 for MedEquip4Kids in the past five years. MedEquip4Kids improves the health of children and babies by providing equipment not available from limited NHS resources. We have supported the charity’s projects at hospitals across Greater Manchester including North Manchester General Hospital, Royal Oldham Hospital, Stepping Hill Hospital and Wythenshawe Hospital. The money has been raised through challenge events, runs, treks, golf days, a charity ball and a quiz night. The whole company has got behind the cause and has pulled together to make this achievement possible. Additionally and significantly for the Kent Institute of Medicine & Surgery delivered by VINCI David Morley Architects were winners of the Best Acute Hospital Development under the Building Design Class. Alan Kondys (left) has addressed an audience of healthcare experts at the annual Healthcare Estates Exhibition and Conference in Manchester. Speaking on behalf of the Integrated Health Projects joint venture, Alan delivered a lecture on cost reduction through standardisation and that makes more money available for front line NHS services. At the same event VINCI sponsored the Architects for Health awards at which Alan presented the awards and spoke of VINCI Construction UK’s extensive experience in the sector, including the construction of 500,000m2 of healthcare buildings as well as the maintenance of 500,000m2 of acute hospital space with 500 staff working alongside healthcare professionals. Working on a theme of ‘quality in the patient environment’, this year’s exhibition brought together over 190 exhibitors and healthcare industry leaders to discuss ongoing changes within the NHS and how they will impact upon the estate. 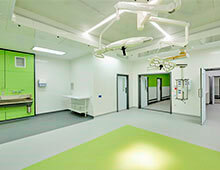 IHP has completed a new £7.5m Medium Secure Unit (MSU) for Greater Manchester West Mental Health NHS Foundation Trust. The thirteen month contract started on site in November 2013 and included the extension of the existing unit to house an additional 25-bed supported living units as well as office space for staff and additional car parking. Having secured consecutive contracts with the Trust is proof that our partnership is helping shape mental health facilities for Greater Manchester. The new Medium Secure Unit was designed specifically to assist with patients’ recovery and to create a comfortable and safe environment for all. Joe Peers, Director of Estates and Facilities, said: "This significant investment has meant that we are in the position to provide a warm and welcoming therapeutic recovery environment, built to a very high safety standard. The additional 25 beds will allow the Trust to care for service users which had previously been cared for by a private provider for the last 12 years. The first of the two contracts was awarded to IHP in November 2011. This resulted in a new £10m, two-storey, Tier 4 Child and Adolescent Mental Health Services (CAMHS) in-patient facility, known as Junction 17. The mental health facility for young people also featured an on-site college and was handed over to the Trust in August 2013. Greater Manchester West Mental Health NHS Foundation Trust provides mental health and social care services for day visitors and in-patients. The facility specialises in mental health and substance misuse services for people living within Greater Manchester. The £18m redevelopment at Wrightington Hospital in West Lancashire has passed a crucial milestone with the project team from Integrated Health Projects (IHP) completing the steel frame. The hospital is a recognised centre for orthopaedic excellence and the new development, when completed, will accommodate the new surgical facility, which will comprise of four theatres, an admissions unit and two 28-bed wards. Completing this crucial stage in the build is a significant landmark on the project. With the steel frame in place, the team can move forward to the next stage of what promises to be an excellent facility for patients being treated as well for the staff that will work here. The project is for client Wrightington, Wigan & Leigh NHS Foundation Trust and is being undertaken by IHP, a joint venture between VINCI Construction UK and Sir Robert McAlpine. On site work began in June 2014 and is due for completion in November 2015. A drainage system implemented at The Harbour has helped maintain a natural wildlife habitat. The original green field site in Blackpool drained naturally into surface water ditches. However, due to underlying ground conditions, the use of a soak away solution was not possible. Project Manager Nigel Plant and his team, however, were able to mimic the natural path of surface water, thereby controlling the run-off to pre-construction rates. With a total impermeable area of approximately three hectares, the new development required 1,200m3 of attenuation, which is provided by five large cylindrical tanks positioned across the site to ensure the depth of drainage is kept to a minimum. In addition, petrol interceptors have been provided for all vehicular areas to maintain the water quality entering the system. The final controlled water flow passes into a shallow basin in the low lying ground to the south of the site, providing a large wetland environment which will be naturalised with planting. The wetland will replace a small pond and boggy area of the original site in order to maintain a habitat for native species and wildlife. 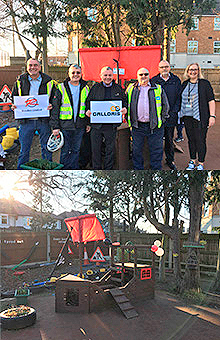 Ivor Goodsite, together with members of the VINCI Construction UK team working at Lister Hospital, has visited children on the Hertfordshire-based hospital’s paediatric ward. The Considerate Constructors Scheme (CCS) mascot joined Senior Engineer Azam Burdi to speak to the children about the importance of safety on and around a construction site. The young patients were presented with a bag of goodies before gathering for a group photo with Azam, special medical staff, and their special visitor. Ivor even stopped en-route to pose for photographs and selfies with members of the public and ambulance drivers. Special recognition must go to Office Manager Sarah ‘Ivor’ Gildersleve, who enthusiastically donned the outfit on an unusually hot day. The multi Project Scheme at Lister Hospital is being delivered under the ProCure21+ Framework by Integrated Health Project (IHP), joint venture between VINCI Construction UK and Sir Robert McAlpine. The redevelopment at Lister Hospital has reached a vital milestone with the Elective Admissions Unit (EAU) being handed over to the East and North Hertfordshire NHS Trust. The theatres project is really gaining momentum and I am very proud of the excellent work that the team here is delivering. It’s very gratifying to actually be on site and see how quickly the new facilities are being utilised and making a real difference in delivering care and treatment to patients at Lister. This three-storey block comprises of two laminar flow theatres, two day surgery theatres and four new endoscopy suites, complete with a decontamination suite. Work is now commencing on the reconfiguration of the existing theatres which will expand the recovery area to accommodate five new bays, as well as extending the coffee area. In addition, the construction of new operating theatres and an endoscopy facility is progressing to deadline, with handover due in September. 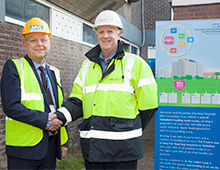 This current construction stage is part of a wider plan to transform Lister Hospital into a world-class healthcare facility for residents in north Hertfordshire and areas of Bedfordshire. The work at Lister Hospital is being delivered by Integrated Health Projects (IHP), a joint venture between VINCI Construction UK and Sir Robert McAlpine. IHP was appointed to deliver each of the building phases, which has already encompassed; the refurbishment and extension to the emergency department, construction of the New Ward Block to treat acute and life threatening conditions, and the creation of a new Macmillan Chemotherapy Unit. Members from the VINCI Construction UK team building the new Emergency Department at Lister Hospital recently visited the paediatric ward. Office Manager Sarah Gildersleve dressed up as Ivor Goodsite, the Considerate Constructors Scheme (CCS) official mascot, who promotes the industry to a younger audience, while teaching them how to be safe on and around construction sites. The multi-phase build at Lister Hospital is an Integrated Health Project (IHP), joint venture between VINCI Construction UK and Sir Robert McAlpine. A construction team working on the redevelopment of Wrightington Hospital, in West Lancashire, has used a new product which has saved the £18m scheme thousands of pounds, whilst also reducing the project’s carbon emissions. The unique components in RoadCem, has reduced costs by 20%. The fine, powdered blend was used to landscape and stabilise soft organic ground adjacent to the site, and provide a larger, temporary car park for the site team. This larger space was created at no extra cost to the client, while freeing up hospital parking facilities. The treated area can support and withstand site accommodation, materials storage and heavy construction traffic, while the finished surface is virtually maintenance free. It will eventually be milled back to soil with soil stabiliser plant and returned to landscape, without any environmental impact. Using this new product has also helped reduce the amount of vehicles bringing material to and from the site, which is estimated to have saved up to 60% in carbon emissions. RoadCem was originally developed by a Dutch company called PowerCem and works by binding nearly all kinds of material to form road hardening matter. Through interlocking strings which flexibly wrap around particles, the product has been used on projects all around the world from Canada, Mexico, Qatar to the Czech Republic. Wrightington, Wigan & Leigh NHS Foundation Trust has appointed IHP, a joint venture between VINCI Construction UK and Sir Robert McAlpine, to build a new orthopaedic facility, which will comprise of four theatres, an admissions unit and two 28-bed wards. The project started onsite in June 2014 and is due to complete in November 2015. The Emergency Department project at Lister Hospital has received exceptionally high marks in a Considerate Constructors Scheme (CCS) assessment, placing it alongside other top VINCI CCS scores received in the last year. Overall, the project scored an ‘exceptional’ 43 out of 50 possible marks. Mr Grainger was also particularly impressed with the site team’s safety measures. “Protection to the environment is also exceptional with a system installed to extract all dust and with the majority of noisy works carried out between 5pm – 1am. Safety measures are also in place to protect personnel and once again excellent with all operatives receiving daily briefings.” He said. Integrated Health Projects (IHP), a joint venture between VINCI Construction UK and Sir Robert McAlpine, are enlarging the existing Emergency Department which is remaining fully operational throughout the project. The second stage of the development has been handed over and now the contractor is progressing with the third and final stage; involving the refurbishment of the ground floor. 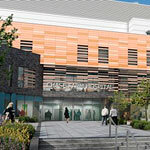 This is one of the four IHP projects, two of which have been handed over, at Lister Hospital. Most people would take the M61 and M55 motorway when travelling between Manchester and Blackpool, or possibly jump in a train. But for The Harbour Harriers a bike proved to be their chosen mode of transport. It was of course all in the name of charity, in this case Lancashire MIND. 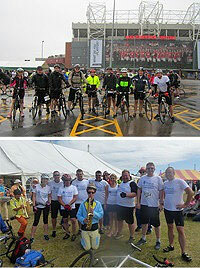 Starting at Manchester United’s Old Trafford stadium, our riders, who usually are to be found working on The Harbour project, joined more than 7,000 cyclists in completing the challenging 60mile route on Blackpool Prom, raising £3,000 along the way. The Harbour is a £40m mental health facility currently being constructed in Blackpool by Integrated Health Projects (IHP), a joint venture between VINCI Construction UK and Sir Robert McAlpine, for client Lancashire NHS Foundation Trust. Due for completion in November, the 154-bed low security unit will cater for dementia, advanced care, psychological intensive care units and adult functional wards. Lancashire Mind is a registered charity which provides support to anyone experiencing a mental health problem. Parent charity Mind facilitates campaigns to improve services, raise awareness and promote the public’s general understanding around mental health. We are delighted to have appointed Integrated Health Projects as the principal supply chain partner to lead the development on our site in Prestwich. It will be a huge boost for our patients and staff, and enable us to continue to successfully achieve our objectives. IHP, a joint venture between VINCI Construction UK and Sir Robert McAlpine, has been awarded a third consecutive contract by Greater Manchester West Mental Health NHS Foundation Trust. The Low Secure development consists of a new 30-bed unit with offices and additional car parking. Construction begins in November. The contract, worth approximately £7.5m, follows on from the Edenfield Centre’s Medium Secure Unit expansion, a £5m project which will be completed on the same site by IHP in October. Greater Manchester West Mental Health NHS Foundation Trust provides mental health and social care services to Greater Manchester and specialist mental health and substance misuse inpatient services throughout Greater Manchester and the sider North West. Integrated Health Projects’ value engineering strategy has achieved overall saving of 10%. When The Harbour in Blackpool faced budget challenges there was a very real possibility that plans to redevelop the North West’s biggest mental health facility may have ground to a halt. Integrated Health Projects (IHP), in conjunction with Lancashire Health Care Trust (LHCT), had six months to come up with a plan to cut overall costs by 10%. The outcome was a robust value engineering (VE) strategy that rescued the scheme by achieving the savings without compromising on standards and the quality of care delivered. IHP drew upon the experience of ProCure21+ designers to challenge the previous thinking around the design and this delivered a high value workable solution. The solutions included an alternative frame, sequencing and construction programme changes and earthworks remodelling. Despite this, the number of rooms was actually increased from 143 to 154, thereby providing increased revenue and capability. The Harbour development is now well advanced and due for completion in November 2014. The VE exercise was an absolute success delivering a substantial saving of £4.74m and providing an affordable £39.55m facility that met all LCHT’s operational requirements. The operating theatres at Chesterfield Royal Hospital are receiving their first major upgrade since the hospital opened in 1984 as part of a £12million, three year project. This video details the work done to date on a new operating room with contributions from theatre staff, the IHP team and the public governor. A hoard of Easter eggs has been delivered to children at Watford General Hospital, thanks to donations from VINCI Construction UK. The campaign was coordinated by the human resources team at Astral House along with St Albans based recruitment agency Tate. 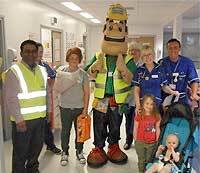 Over 60 chocolaty snacks were collected and presented to young patients on the children’s wards during the bank holiday weekend. The second – and toughest – phase of the P21+ Emergency Department project at Lister Hospital in Stevenage has been handed over to the Trust. The IHP (VINCI Construction UK/Sir Robert McAlpine JV) team at Lister Hospital have overcome a number of challenges to achieve completion of a new emergency department. In the face of last-minute programme changes, the team still fulfilled a request to finish the work five weeks early. 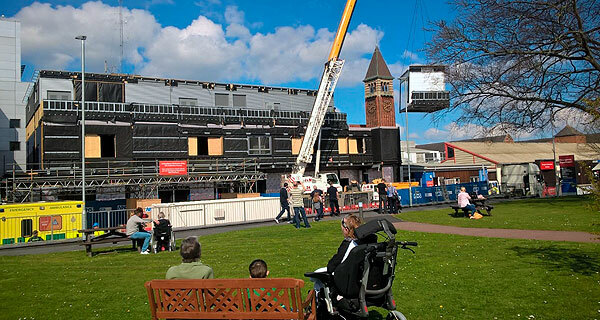 A £40m mental health hospital in Blackpool is rapidly taking shape following completion of the steel frame. The mental health inpatient unit known as The Harbour will be one of the largest of its kind in the north west. The Harbour will provide care for adults including specialist dementia beds. The unit has been designed to ensure a therapeutic environment for service users and facilities to support their recovery, including private bedroom facilities, access to outdoor space and therapy areas. Alistair Rose, project director for the trust, said: “The Harbour is one of four inpatient developments planned in Lancashire and is the exemplar for how future inpatient services should be designed. Patients will begin using the facility in early 2015. A ground breaking ceremony has marked the start of work on a new operating theatre building at Chesterfield Royal Hospital. The event was attended by representatives of the local NHS trust and members of the project team, including VINCI Construction UK’s Project Manager Adrian Leigh. 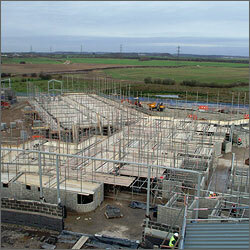 The three-storey building is the first phase of the hospital’s redevelopment and will be completed in May 2014. Chesterfield Royal opened in 1984 and provides employment for over 3,400 staff. The team faced a number of challenged prior to breaking ground, including constricted spaces, rare ivy broomrape, a British parasitic wild plant, six preserved trees and a local bat colony. A group of high school students have learned about routes into the world of construction. Twenty-seven year 10 and 11 BTEC construction students spent a day touring the £10m Countess of Chester Hospital upgrade project being delivered by IHP (the P21+ VINCI Construction UK / Sir Robert McAlpine JV). The students where they were encouraged to think creatively about the built environment and future career opportunities. 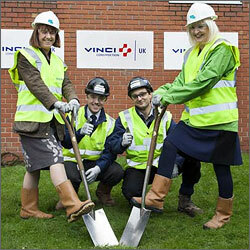 VINCI Construction UK’s site team explained the various job roles involved and outlined different training routes. The Countess of Wessex has officially opened the new women and children’s ward at The Royal Oldham Hospital, phase three of a three year scheme. The P21+ scheme has been successfully delivered by Integrated Health Projects, a joint venture between VINCI Construction UK and Sir Robert McAlpine, for The Pennine Acute Hospitals NHS Trust, and will be completed in November 2013. The new facility includes antenatal wards, new labour delivery rooms, obstetric theatre, a mid-wife led birth centre, a postnatal ward with 29 beds, a children’s unit and a brand new, level three neonatal intensive care unit. 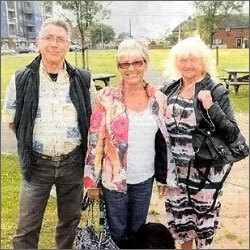 A resident of over 30 years in the Merseyside area of Blackpool has spoken publicly about the positive effect an IHP team has had on the community. The Harbour is being delivered under the Procure21+ Framework for Lancashire Care NHS Foundation Trust. The £40m scheme includes a 154 bed, low security mental health unit set to be one of the largest of its kind in the north west of England. The construction team supplied prizes for the opening of a local windmill project. 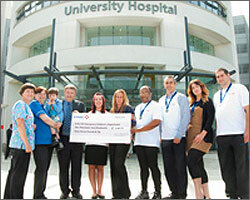 A team from VINCI Facilities has completed the Great Midlands Fun Run and raised £2,400 for the children’s emergency department at the University Hospital in Coventry. Karen Harris, Dave Holder, Ania Krzywania, Adam Cheater, Christopher Beck, Simon Corley and Benjamin Agbasi took part in the 8.5 mile journey across Sutton Coldfield.